Located in San Marcos La Laguna, the Fungi Academy has breaktaking views of the Lake to enjoy. Residents are an integral part of the Fungi Academy community. We welcome anyone looking to experience an intentional community setting that utilizes the principles of permaculture to build and grow. At Fungi Academy, there are always tasks on-the-go in our garden/nursery, kitchen, and general maintenance/building tasks around the property. Residents will also have the opportunity to learn more about fungi and mushroom cultivation with complementary access to our Tuesday workshop and ad hoc workshops held throughout the week. 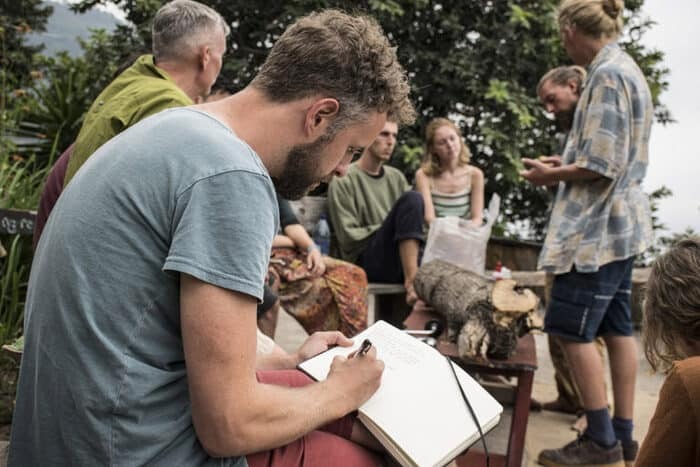 If you have an interest in Fungi, permaculture, and community living and want to learn more about our resident program at the Academy, keep reading below and then contact us by completing the Application Form below. We would love to hear from you! 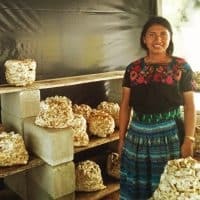 Residents at the Fungi Academy work 2 hours each day for 5 days of the week as per the community schedule – typically Monday to Friday however days and times are subject to change during special events or courses taking place. You can expect a portion of your time to be devoted towards the basic tasks that are required to keep the community running (cooking, cleaning, etc.) and the majority of time is focused on current projects (food forest, property building and maintenance, etc.). We do our best to match you with the tasks that reflect your interests and/or skills. 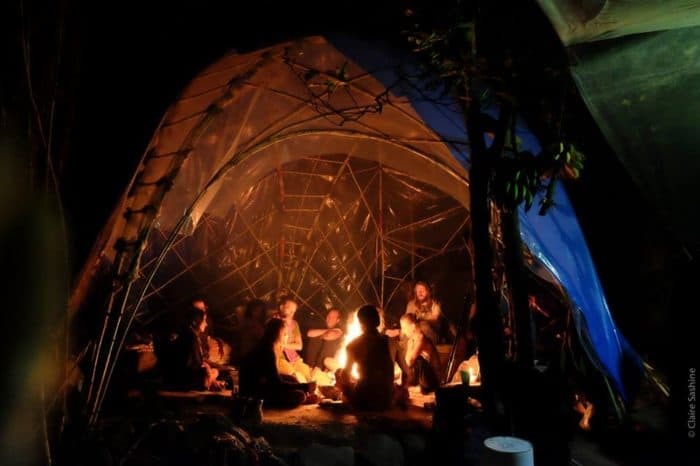 In exchange, you will be provided accommodation (dorm or tent, on a first come, first served basis), 1 communal meals Monday to Friday with access to the kitchen and food on evenings and weekends, and an awesome community setting complemented by an amazing view of the Lake and surrounding volcanoes! 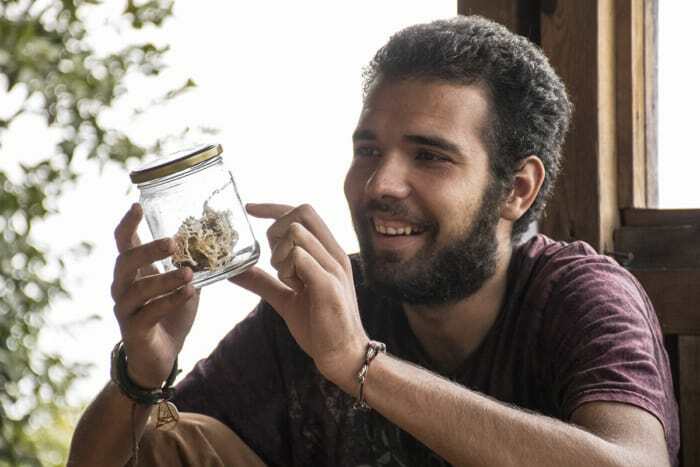 Our goal is to provide all residents with a valuable and unforgettable experience, meeting all your needs while furthering the vision of the Fungi Academy project. If at any point during your stay you would like more time off, you are welcome to transfer to Guest status for a day or few at the Guest rate. You can also find out more information about being a Guest and other topics on our FAQ page. Alternately, we are also offering an Independent study program which gives you full access to our lab and study facilities without accommodation and food. We ask that residents to stay with us for a minimum of one month (4 weeks) at a cost of 70Q per day. This cost covers all your needs, including communal food, utilities (including electricity, clean water, and Wifi), and other supplies we share for living and working together. We are a not-for-profit community and open to sharing more about our cost structure if you have any questions. In the interest of supporting the local and Central American community we have a reduced cost of 50Q per day for the beautiful people from Central America and Mexico. Minimum stay of one month is still required. We ask that residents arrive on a Sunday to allow you the time to settle and begin fresh with us on a Monday morning with our weekly morning meeting. You will also receive a welcoming community tour and orientation. Currently, with two productive years under our belt, we are continuing to build our community with projects including the building of a food forest, general building repair and maintenance, social media and website maintenance/updates, kitchen management and people management. Please see our FAQ page and feel free to drop us a line if you have additional questions. 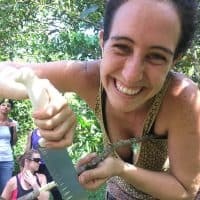 Interested in Becoming a Resident at Fungi Academy?